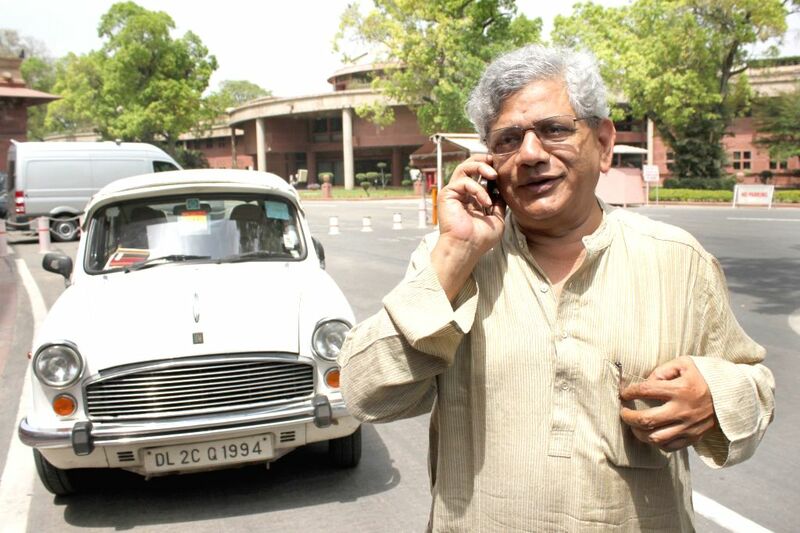 New Delhi: CPI-M General Secretary Sitaram Yechury at Parliament house on April 21, 2015. 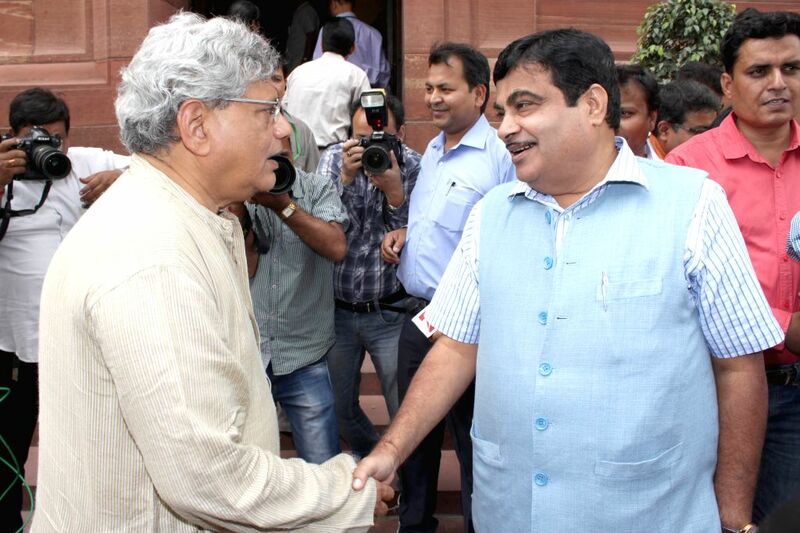 Union Road, Transport and Highways Minister Nitin Gadkari and CPI-M General Secretary Sitaram Yechury at Parliament house on April 21, 2015. 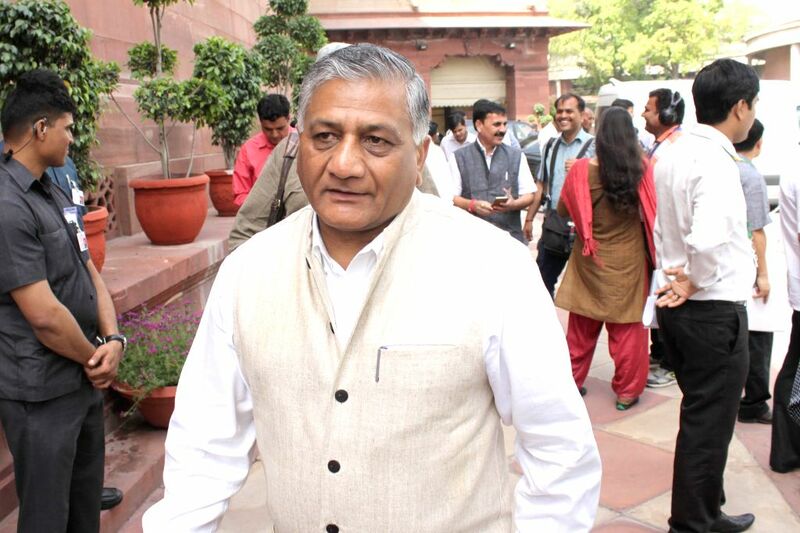 Minister of State Gen.VK Singh at Parliament house on April 21, 2015. 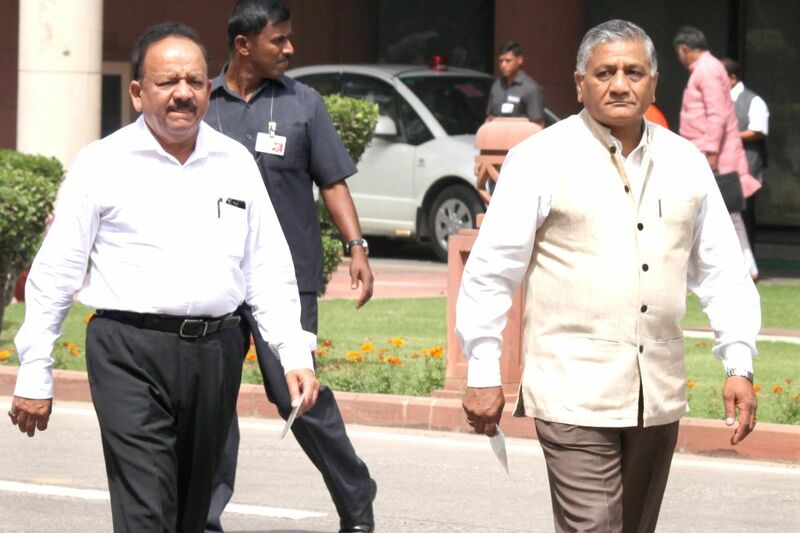 Minister of State Gen.VK Singh and Union Minister for Science and Technology and Earth Sciences Harsh Vardhan at Parliament house on April 21, 2015.